A combination of lousy weather, international demand, and iced-over Canadian fisheries has created a lobster shortage. It’s no shell game: As the price per pound has skyrocketed over the last few months, the costs of lobster dishes on restaurant menus across the city have been off the charts as chefs have been looking to claw back some of the margins. A combination of lousy weather, international demand, and iced-over Canadian fisheries has created a shortage that has driven whole hard-shell lobster prices to as high as $15 a pound this spring, up from about $8 a pound last year. For chefs buying pre-shucked lobster meat for their rolls, the price has been hovering at $40 a pound, or about $8 more than a year ago, several said. Restaurants have had to adjust their menus accordingly, and in some cases chefs are eating much of the difference. And it has many worried as they head into the start of the summer season. Typical pricing for a lobster roll at North Square Oyster in the North End is around $24, said chef Pierce Boalt Juckett, but he switched to listing “market price” on his menu last week to deal with the rapid fluctuations. For the past few days he’s been charging diners $29, he said, but it costs him about $47 to prepare the rolls, once he factors in preparation and labor costs. “We’re losing money when it skyrockets,” he said. Juckett has been attempting to make up for those losses by selling more side dishes, alcohol, and salads. Others, like Nick Deutmeyer of Post 390, have asked staff to shell the lobsters themselves to cut down on costs. “April is horrible for seafood,” said chef Jeremy Sewall of Island Creek Oyster Bar and Row 34, who has taken all excess garnishes and lobster salads off his menus. 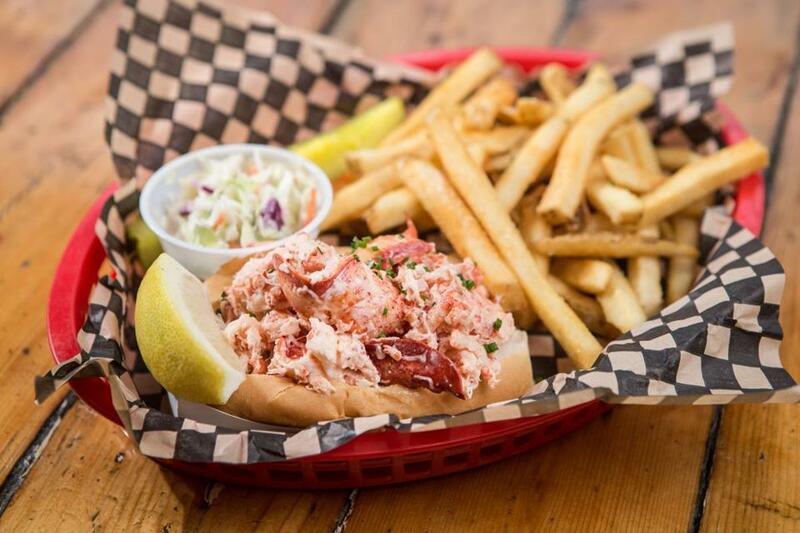 He said that while his prices haven’t been much higher than in years past — he sources his lobster from family members who run lobster boats in Maine — he, too, is taking a hit on lobster rolls. Chef Chris Coombs has taken a different approach. At his Boston Chops steakhouse, lobster has gone missing from his menu over the past few weeks (with the exception of the raw bar) to account for the shortage. But at his French restaurant, Deuxave, he has adjusted his menu to reflect the actual market price. The Scituate lobster and gnocchi appetizer, a staple, is now selling for $37. On Marathon Monday, lobster rolls with 8 ounces of meat were $49. Lobster dealers say the market prices are seasonal, and that March and April always tend to be the tightest market for the crustaceans. Federal permits mean that only 25 percent of Maine’s fleet can go out to the lobster fisheries at this time of year, said Alice Tselikis, executive director of the Maine Lobster Dealers’ Association, and windy, wetter temperatures that accompanied the nor’easters this March meant fewer fishermen were on the water overall. As a result, the US market has relied even more heavily on Canadian lobster fisheries than is typical to source the product, she said. But they, too, have been affected by ice and cold. In Massachusetts, fishermen are getting $9 to $11 a pound off the boat right now, said Beth Casoni, executive director of the Massachusetts Lobstermen’s Association. The low supply numbers are the result of the “freak month of March” and current fishing restrictions that address right whale migration patterns, she said. The mammals are now feeding off the coast. International markets are also playing a role: “There’s a lot less fishermen fishing in Massachusetts, and the markets have expanded such globally that China is driving the price up, and demand is going up,” she said. Still, Casoni prefers colder winters to warmer ones. In 2010, an unseasonably warm winter and spring started the lobster season far earlier than normal and eventually drove prices down to record lows of $1.80 a pound off the boats, she said. But she, too, expects things to calm as the weather eventually warms. The Canadian markets are starting to open and will begin “righting the ship,” she said. “Once the [Massachusetts] fleet gets back in the water, unfortunately the price will come down.” She expects prices to right themselves at about $6 a pound off the boat by the time summer hits. Still, some restaurateurs, including Daniel Bruce, say they remain nervous about their summer menus. The executive chef at the Boston Harbor Hotel and Meritage said he goes through 18 pounds of lobster meat a day in summer. He said he has been watching prices closely and talking to his wholesaler regularly to check on supplies.